We were approached by Blind Money Ltd based on how impressed the directors were with our work for Sadler’s Ales Brewery. 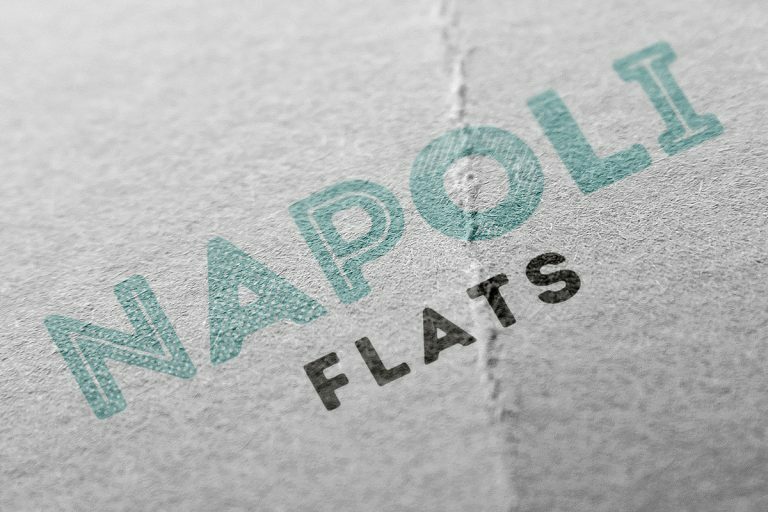 We were delighted to take on this project solely based by the high praise. 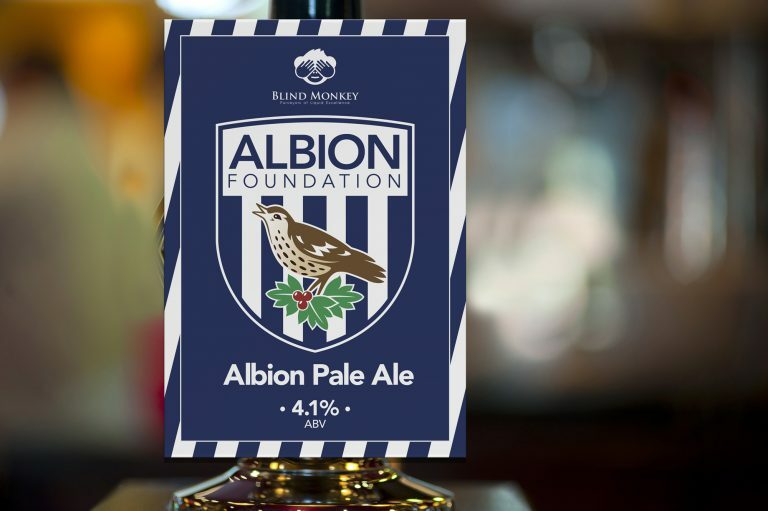 The brief was to create a bespoke beer for The Albion Foundation who are connected to West Bromwich Albion FC in a matter of social responsibility and the wider West Bromwich community. 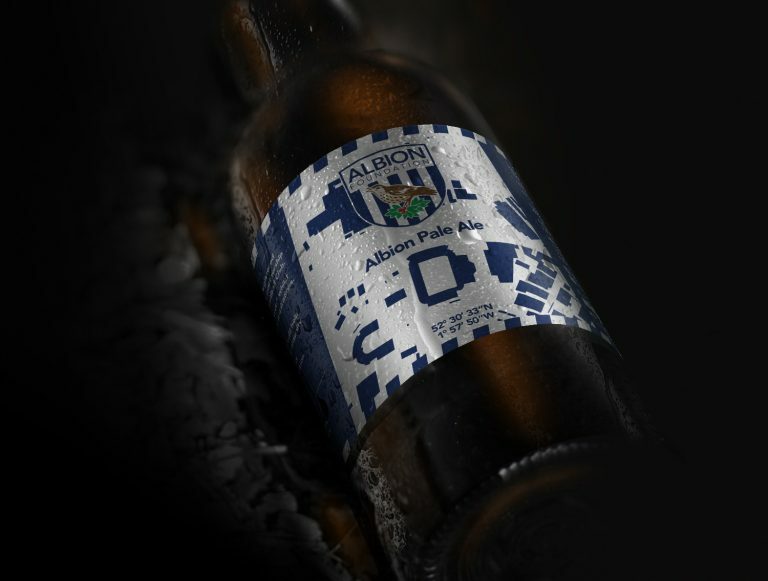 The result was the Albion Pale Ale. 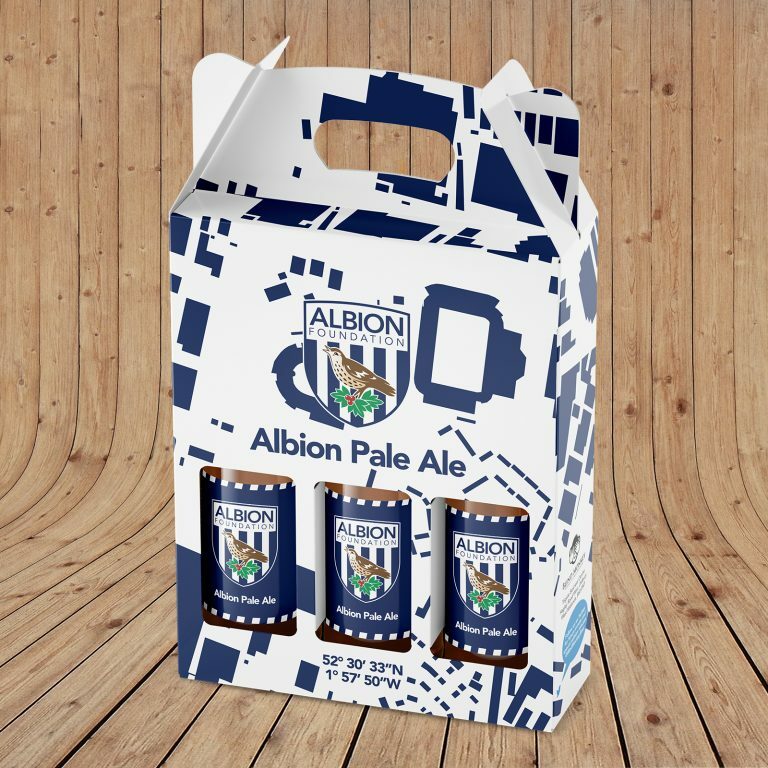 The challenge was to create something memorable without stepping into the challenging realm of IP and image rights for a product linked to a premier league club. 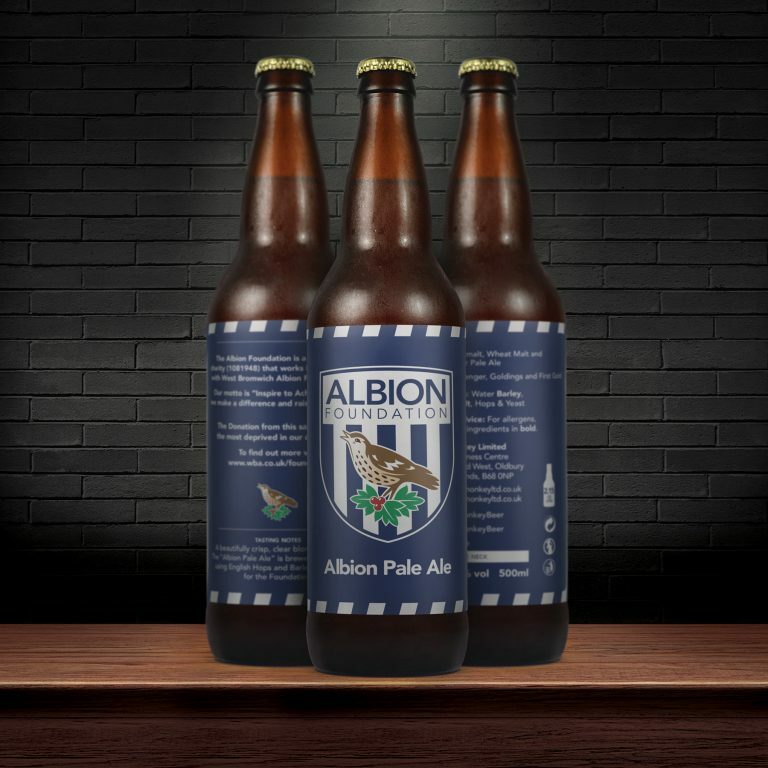 The idea of global coordinates and a minimal, aerial street view of the The Hawthorns stadium and the surrounding areas was put forward. This is displayed in the last of the image examples as the discarded concept. 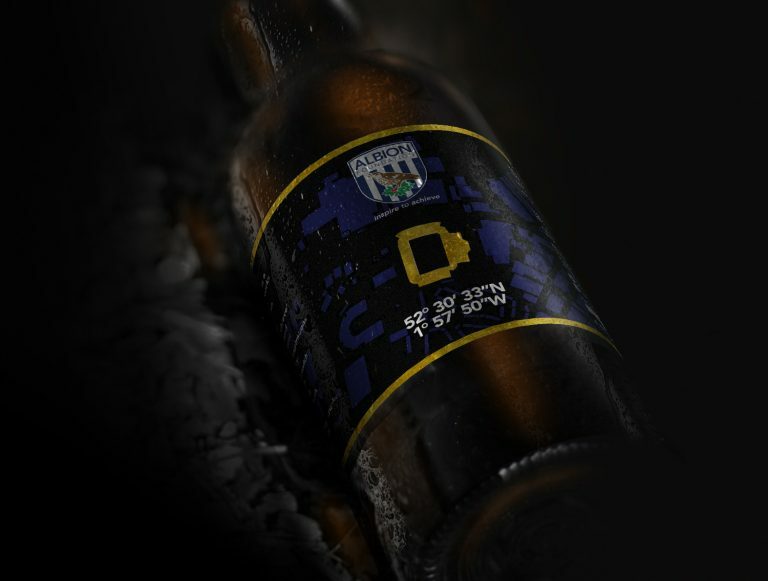 However, we applied the OS aerial concept onto the boxset, complementing and contrasting very well with the dark bottle. 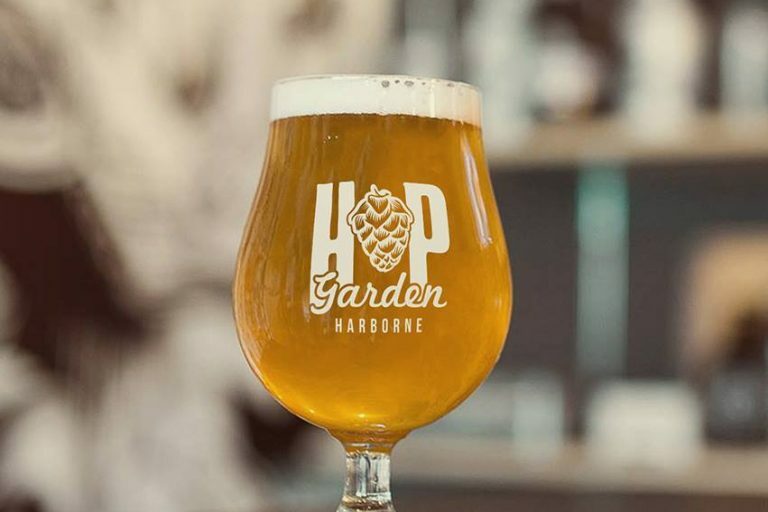 The results have meant massive exposure to Blind Monkey and a flurry of preorders before the product hitting the shelves. 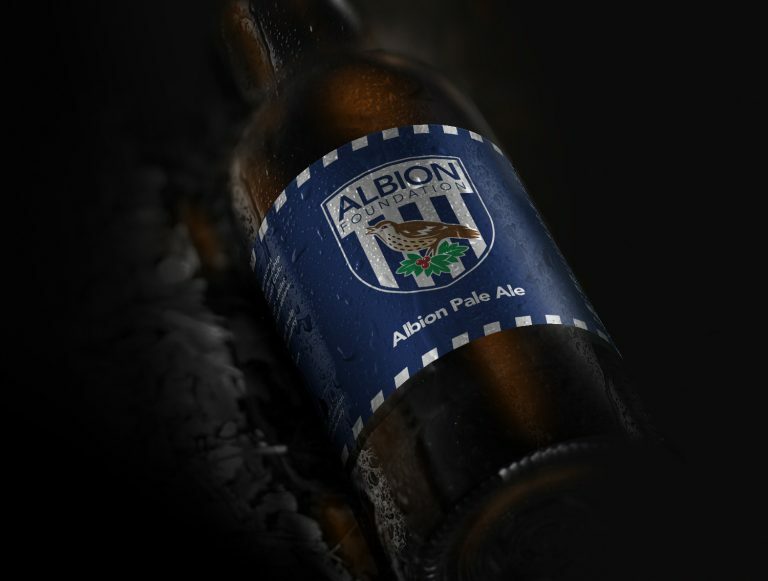 Come on the Baggies!